SOAPBOX005 represents a generic 4oz cardboard soap box. 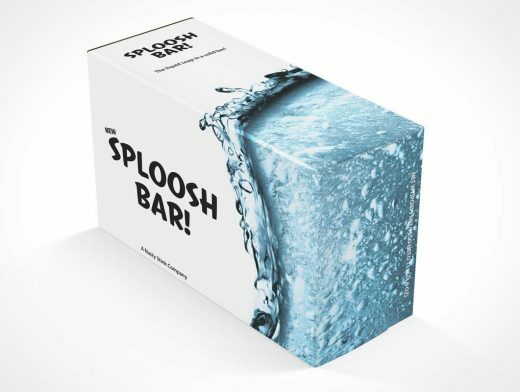 This PSD Mockup applies sketches or client approved artwork on a soap box made of cardboard rendered face forward at 45 degrees — when complete, the final presentation looks down at your mockup from a 30° above. This mockup represents the mirror opposite of SOAPBOX001 and is provided in a fully layered and editable Photoshop document. Highlights, shadows and background (which is transparent) can be fully modified to suit the needs of your product.